How did local journalists assess the legitimacy of the anti-war movement? How, why, and to what extent did opponents of the war pursue local press coverage? What bearing did the social composition of the movement have on the way they set about engaging with the media? How did the local press handle the controversy surrounding opposition to military action against Iraq? 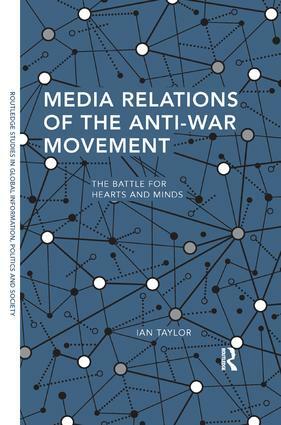 Media Relations of the Anti-War Movement makes a unique contribution to research on the interactions between social movements and the media and plugs a major gap in the literature on the Iraq War and the media. Ian Taylor is a University Teacher with the Department of Social Sciences at Loughborough University, and a Distance Learning Tutor with the Department of Media and Communications at the University of Leicester. He is currently researching the interactions between social movements and the media.